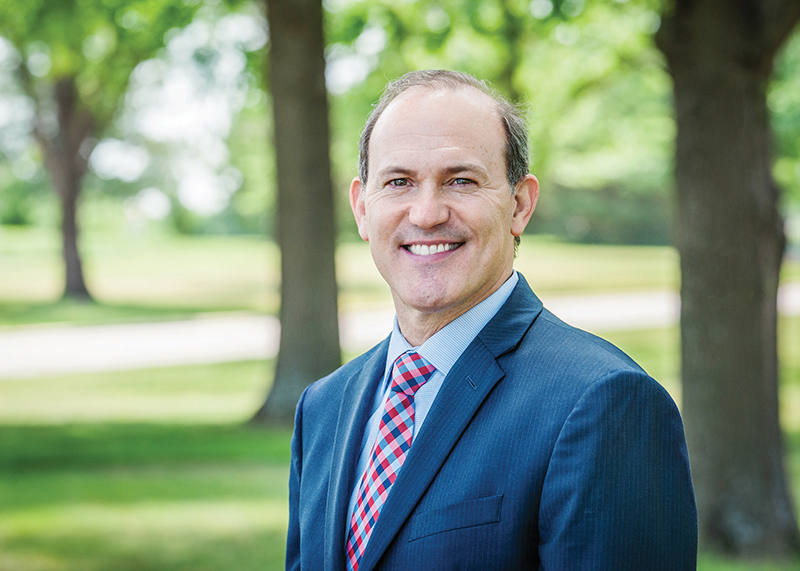 KANSAS CITY, Kan. — The new executive director of the Catholic Education Foundation, Vince Anch, has grand plans for the future. “My hope is that we build one of the premier nonprofit organizations in the Kansas City metropolitan area,” he said. If past experience is any indication, Anch can make that happen. “Vince has performed at a very high level over the course of his 30-year career in nonprofit leadership and fundraising,” said CEF board chair Terry Sexton. “He’s had deep experience leading both Catholic and secular nonprofits. Anch’s resume is full of his accomplishments for nonprofits, but that wasn’t always his goal. In college, he studied business with a plan to enter the corporate world. His first job was with the American Diabetes Association (ADA). He ended up working with ADA for 19 years. He’s also worked for Catholic Charities of Kansas City–St. Joseph and for Metropolitan Community College in Kansas City, Missouri. “If you take a look at his resume,” said Sexton, “you see that everything Vince has touched in the nonprofit world he’s made more successful. “I’m grateful for their effort,” he said. “The executive committee has worked incredibly hard and interviewed many excellent candidates. That’s exactly what Anch plans to do, and he wants to see growth in both numbers and in faith. “We want to grow financially,” he said. “Grow in the number of people we serve and the number of volunteers we attract. Anch is a member of St. Andrew the Apostle Parish in Gladstone, Missouri, along with his wife Carolyn, who is the parish youth minister. “We have a daughter, Adriana, who is 10, and three others that we lost, but they’re still our children,” he said. The executive committee valued Anch’s deep commitment to the Catholic faith. Archbishop Joseph F. Naumann agreed. As Anch researched the position, met with board members and prayed over the decision, he became more convinced this was a move God wanted him to make. “I loved what I was doing in the previous job,” he said. “But because [CEF] is faith-based and it helps children — especially children from low-income families — it just had an immediate appeal to me. Anch was especially impressed by the commitment and passion he saw in staff, volunteers and board members. “That really sold me,” he said. “They were just so inspired by God and the church’s mission and education. Like the CEF board, Anch views Catholic education as an important piece of the new evangelization. After only a few weeks on the job, Anch is convinced he made the right decision and is looking forward to his future with CEF. “I certainly understand and appreciate the value of what [Catholic education] did for me,” he said. “And I want to share that and give that gift to as many people as possible. The archbishop agrees with that plan, too. “I am grateful for Vince’s background in development,” he said, “but also for his personal commitment to the church and the importance of Catholic schools.